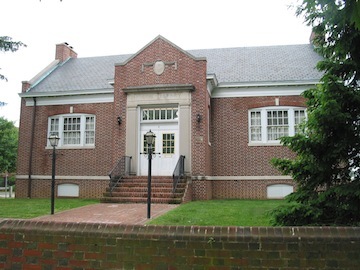 The library includes the holdings of both the Ann Arrundell County Historical Society and the Anne Arundel Genealogical Society. Although specializing in Anne Arundel County and Maryland material, its holdings encompass the eastern, central states as well as some western material among its more than 6,000 volumes. In addition to published material, the collection includes manuscripts, maps, photographs, genealogical, biographical and subject files. There is a charge of $5 a day to non-members of either the Anne Arundel Genealogical Society or the Ann Arrundell County Historical Society. We are adding the Kuethe Library holdings to the Anne Arundel County Public Library catalog. To find them, check out the AACPL Kuethe Library page. Please note that even though the books in the Kuethe Library are listed in the AACPL catalog, they cannot be checked out - they are for use only in the Kuethe Library. 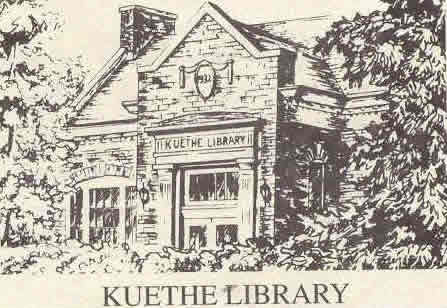 Learn more about the holdings of the Kuethe Library.